This new mini collection has been released together and includes a variety of new techniques and options suitable for many different skill levels, from beginner to intermediate with 16 included variations. The collection consists of a loose fit drop shoulder sweater, classic high waisted rigid jeans, an asymmetrical dress or blouse that can be made in knit or woven fabric, and a set of classic skirts with unique crossover closure at the side seam. These four new pattern releases are are the perfect blend of classic and trend-based styles! The Dawn Jeans pattern is a classic high waisted rigid jean pattern set and right on trend for the resurgence of classic denim shapes. 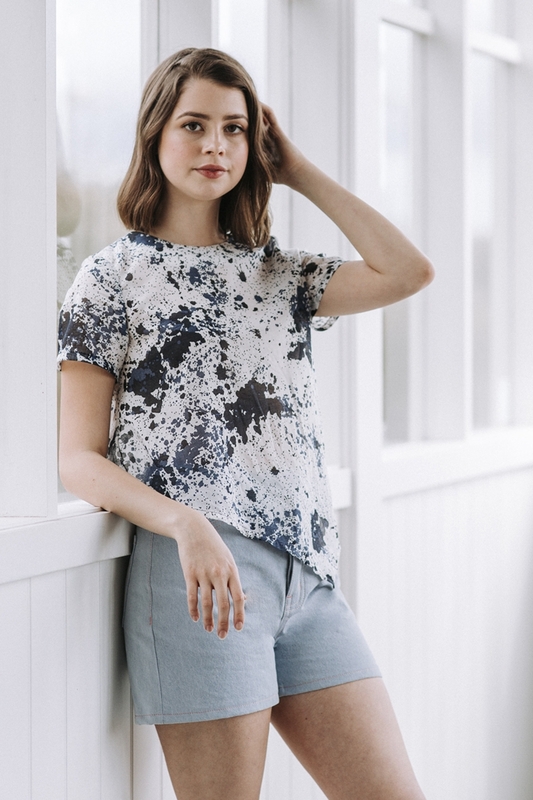 The sewing pattern features four cuts and multiple lengths for tall, regular and cropped. The set is available in 11 sizes and can be made with a multitude of fabrics from rigid denim to linen. The pattern features a high rise to sit on the natural waist, button fly, close fit through the waist and hips and classic jeans details. 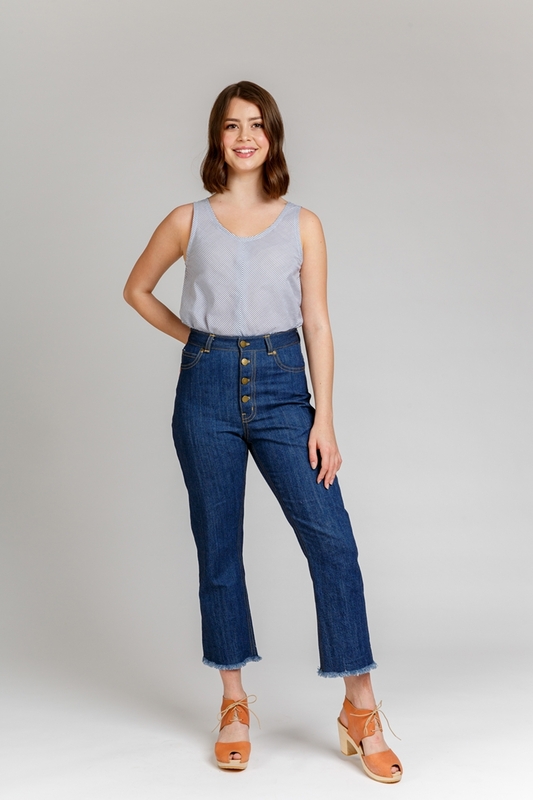 View A is a tapered leg jean. View B is a straight leg jean. View C is a wide leg jean. View D is a jean short. Floreat is an asymmetrical dress or blouse that has been created to fill a multitude of gaps in a home sewers wardrobe. This one is adaptable and can be made from woven or knit fabric. 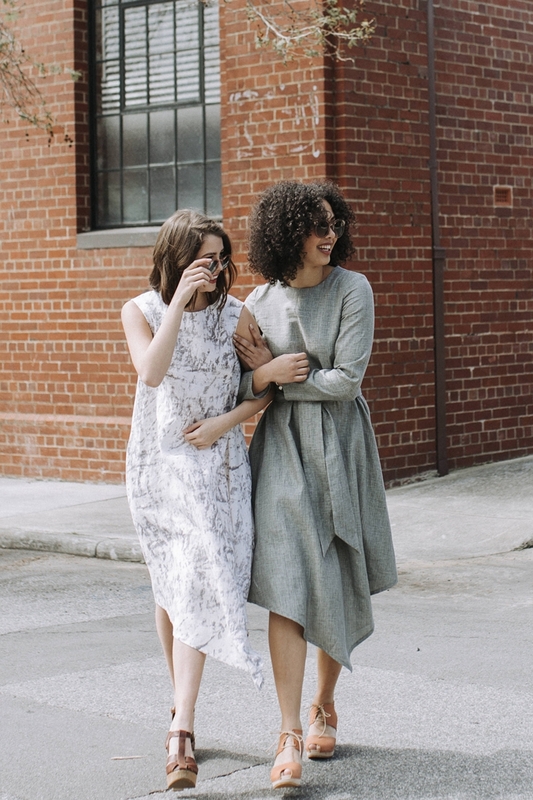 It features clean lines, woven and knit facing options, inseam pockets, as well as lots of sleeve and hem lengths. It’s a truly versatile pattern to have in your wardrobe. View A is a dress with long sleeves and waist ties. View B is a blouse with long sleeves. View C is a cropped blouse with short sleeves. View D is a sleeveless dress or blouse. The Jarrah Sweater pattern is a loose-fitting drop shoulder sweater and another ideal piece for mid-season layering. It’s an easy sew for beginners but also a satisfying project for the more experienced sewer,. The Jarrah features a crew or funnel neckline, two sleeve options and four hem styles. View A is a sweater with cuffs and a hem band. View B is a sweater with curved hemline and split sleeve hem. View C is a sweater with waist tie and cuffs. View D is a cropped sweater with funnel neck and split sleeve hem. The Wattle is a set of classic skirts with an unusual crossover closure at the side seam, and is based on Megan Nilesen’s bestselling trouser pattern, Flint. The pattern sits on the natural waist and features a hidden closure at the left pocket, three skirt options, slash pockets, two waistband options and multiple lengths. View A is a bias-cut midi length skirt. View B is a skirt pleated above the knee. View C is a skirt gathered below the knee. View D is a bias-cut skirt above the knee.